Maybe I had low expectations, but I was surprised by just how good my comics were this week. Everything I pulled was a page-turner with top-notch art. 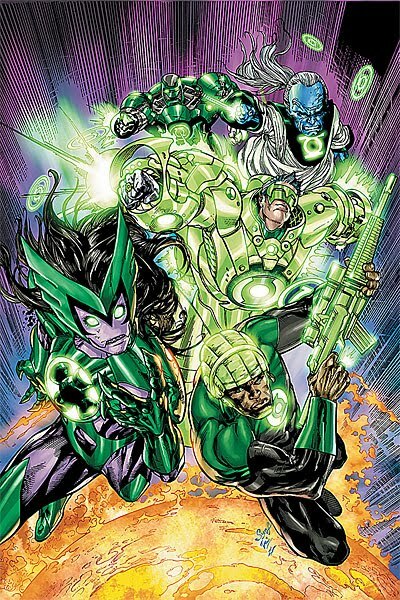 My love of the Green Lantern books began with the Sinestro Corps War, a great story arc that got me invested in the characters. I was ever so curious to see where the War of Light would lead, and, well, here we are at Brightest Day (aka the Über Meh). I dropped BD from my pull list, and with the writer Peter Tomasi’s departure, I was going to drop GLC, too. This issue has officially changed my mind. 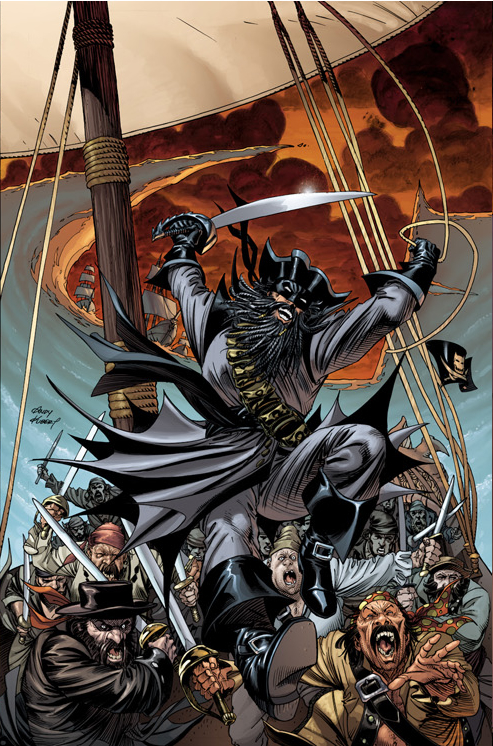 Kudos to Ardian Syaf, who is really getting better with his pencils. His powerful facial details impressed me (although thumbs down on Natu’s Wolverine-inspired hairdo). The story was fast-paced with a tinge of suspense. You knew that the Alpha Lanterns were up to some craziness after last issue, but Boodika resorting to maniplulation and trickery … that was unexpected. Now I’m dying to know how they came under the control of Cyborg Superman. I guess it’s a robot thing. I’ve come to really enjoy Grant Morrison’s writing. Perhaps it’s my background in philosophy, but I like meta-stories and annotations. I don’t mind working for it with Grant’s stories, because the payoff is often worth it (wildly convoluted, but interesting). After issue #2, I thought I might have to “work for it” yet again. But in comes #3, blazing with clarity and lovely little continuity nuggets tying GM’s obscure references together. I have an idea of where this story is going, and while that could very well change in an instant, I am excited. Grant is a reference junkie; it’s how he rolls. Being that I am one of the two people who LIKED Final Crisis, that makes the references in RoBW even better. Yanick Paquette’s art was a pleasure, especially the background details and his pouty-lipped rendering of Wondy. I saved the best for last. I LOVED this issue. Dini’s Zatanna is so damn likeable. As ridiculous as this may sound — she is a magician and all — I could relate to her! After a huge performance, going head-to-head with a mega-sorcerer, and teleporting in to help the JLA, Z. was pooped. The scene of her plopping face-first into bed was perfect! PERFECT! It humanized her, and I found it to be endearing. The most impressive (and powerful) thing about Zatanna though, is her ability to think fast. You’d have to have a quick mind to rattle off words backwards under pressure. It’s harder than you think folks; I’ve tried it. Another highlight of this story is Brother Night. He is creepy10, horror-movie scary. But the shining stars of issue #2 are the flawlessly executed, beautifully drawn splash pages of Zatanna’s dreams/nightmares. If you aren’t reading this comic, what the hell are you waiting for? I miss you too Mitch! ;-) Thanks for reading … I appreciate the love. 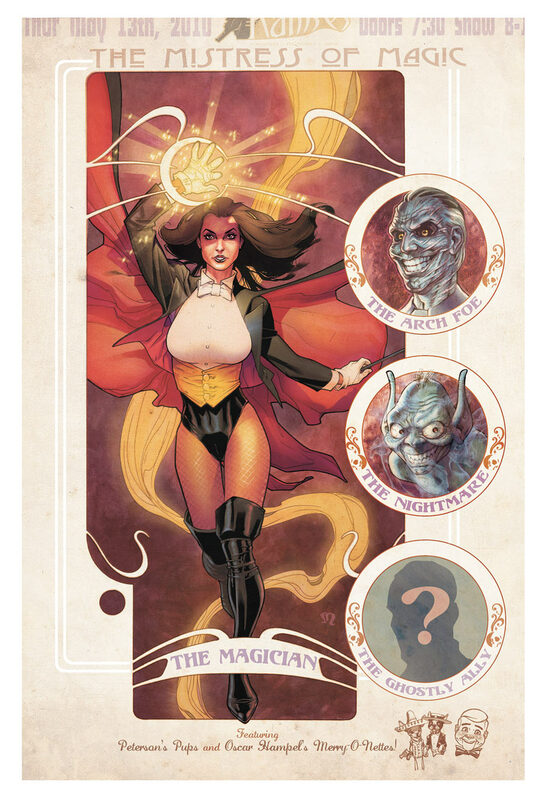 Ya know, I always thought of Zatanna as a third-rate character in the DCU but I took a chance on the first issue of her new series and I have totally reversed my opinion, outlook and thinking on the character. This is a great series and, like you wrote, it humanizes her without objectifying her. I say well done. Well done, indeed! Great write-up! This past week was definitely a good one for some of the staples, including the three you noted. Zatana is showing a lot of promise with the first two issues, I like the introduction of a mystic underworld in SF – really brings out the tone of the city making for a classic retake on early Noir. GLC might still stay in my pull list if Bedard can keep up the mystery of the Alpha Lantern revolt. The infiltration of the planet by John and Bodikka had me on the edge of my seat. All-in-all a win of a week, just hope tomorrow starts off another one.